Pandian Saraswathi Yadav Engineering College was established in September 2000, by "Hind Rattan" Mr. Malaysia S. Pandian with the sole aim of rendering quality technical education to economically weaker and down-trodden students. PSYEC is located predominantly in a rural area on the State Highway (SH-33) connecting Madurai and Thondi. It is 29 km from Madurai (towards Thondi) and 16 km from Sivagangai (towards Madurai). The College is approved by AICTE (All India Council for Technical Education), New Delhi and affiliated to Anna University. The first batch of students consisting of 184 passed out in April/ May 2004 with affiliation of Madurai Kamaraj University. The second batch of students consisting of 109 passed out in April/May 2005 with affiliation of Anna University, Chennai. 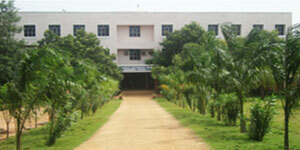 At present, our college is affiliated to Anna University, Trichy.